Lord, I pray for John Bolton. Thank You for his many years of service to our country. You have given him a great deal of experience that he can combine with wisdom from You to advise our president appropriately. Please give him that wisdom. I pray that he and his wife, Gretchen, will have a Christ-centered marriage and that they will be close to one another despite the stressors placed on him through his job. May they be self-sacrificing to seek the best for each other. May they have an excellent relationship with their daughter and her family. I pray for refreshing times of family fellowship and fun. Thank you for his air of caution as we watch the events in Venezuela unfold. May he have Your wisdom as to when it might be time to step up U.S. involvement. In the name of Jesus, Amen. Not a prayer or objectionable? Flag this prayer. I pray in the name of Jesus, Amen. Dear Lord, Thank You for John Bolton and his fearless stance to help keep the US safe. God, protect him as he tries to protect us. Give Him Your wisdom in all matters, grant Him divine revelation in how to solve these pressing situations, help him to stand firm and not cave to threats, surround him with wise men and women who give him godly counsel, let him know he is not alone in this fight for the preservation of our country, and God bless John Bolton for protecting those of us who live in cities that were once safe but are safe no more now that so many illegals have infiltrated our city. Lord, I pray that Mr. Bolton would seek Your will for the country, and desire to please You rather than man. Please communicate clearly to him Your ways. Surround him with godly advisors who also seek You. In the name of Jesus, Amen. I thank God for you and for your service to the United States. May Almighty God give you supernatural wisdom, understanding, discernment, knowledge, courage and favor as you do your important work. May our loving God grant you and your family with good health, prosperity, safety & security, peace and abundant spiritual blessings. Bless this man and give him supernatural wisdom for the decisions he needs to make. Protect and defend him. Walk before him and sweep the way clear for your kingdom and righteousness. Give him discernment over every trick,trap and manipulation and show him how to escape any snare hidden to ensnare our nation. Give him rest and give him strength to handle every foe. send angels to clear the air above him. In the name of Jesus I ask it. On behalf of many of my brothers and sisters in the Lord we are praying for your protection and for Holy Wisdom and discernment in addressing so many evil situations facing our nation today. Particularly in regards to the immigration laws and how best to handle this manufactured caravan of \'asylum seekers\' planning to invade our country. May the hand of God be on all of President\'s Trumps cabinet members as you come up with strategies to address this plot of the enemy to kill, steal and destroy our great Nation. May we return to being One Nation - Under God. Praying for justice and righteousness to be restored to our nation through the faithful and fervent prayers of God\'s remnant of people who continue to stand on His truth. And that we do it in love and with compassion towards all those who have been deceived. I pray that you will maintain the rule of law and righteous standards of almighty God. That you would not compromise in any area. Abba, Father, You know everything this dear man is up against. I pray that You empower Him w/ Your strength, Your wisdom, Your discernment to cut to the chase, in every circumstance , that he encounters, for the specific purpose You have called him to, for such a time as this, that all those in his immediate sphere of influence, would know that You are Yahuweh, the Only True God of the Universe, and that You are Sovereign. Lord. 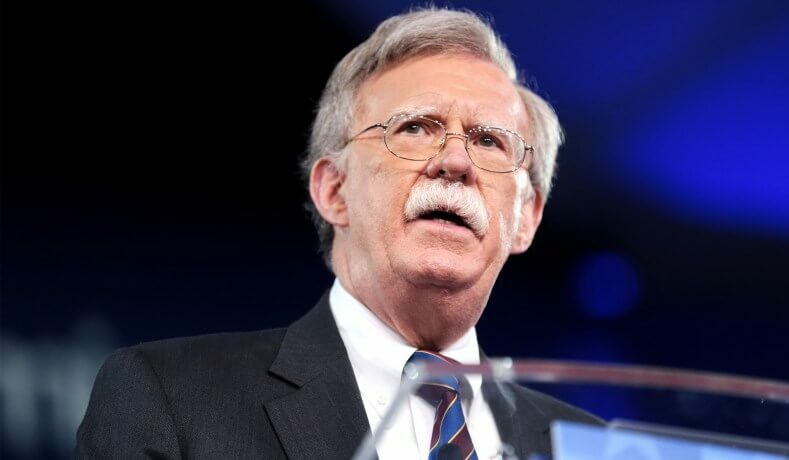 Give John Bolton Your Grace,Wisdom with humility, boldness and energy of the HOLY SPIRIT in truth and righteousness. 3 John 2 I pray for him, in JESUS\'S NAME. Help us avoid inappropriate postings by entering a first name and email address. We have detected you already have an account. Would you like to login?